The story of how a car helped many! Posted on August 7, 2018 at 1:44 pm. In 2017 Cancer Council Queensland’s research data identified that many people were unable to get to their cancer treatment. They couldn’t afford parking at hospitals, they experienced heightened stress and anxiety with ‘where to park’ and simply, not feeling well to drive. Public transport was not an option with low immunity. There needed to be a way to reduce the financial and emotional burden of cancer by providing transport to clients who are facing hardship in accessing their treatment. The idea was that volunteers would drive and collect the cancer patient from their home, take them to their treatment, wait for them, take them home – Just like a family trip. Matthew Tenkate the General Manager of Major Training Group was inspired by the work of Cancer Council Queensland and wanted to help as this was a cause close to his heart. Matthew had a beloved Corolla sedan that was ready to be sold when he realised this car may help Cancer Council Queensland pick up patients. 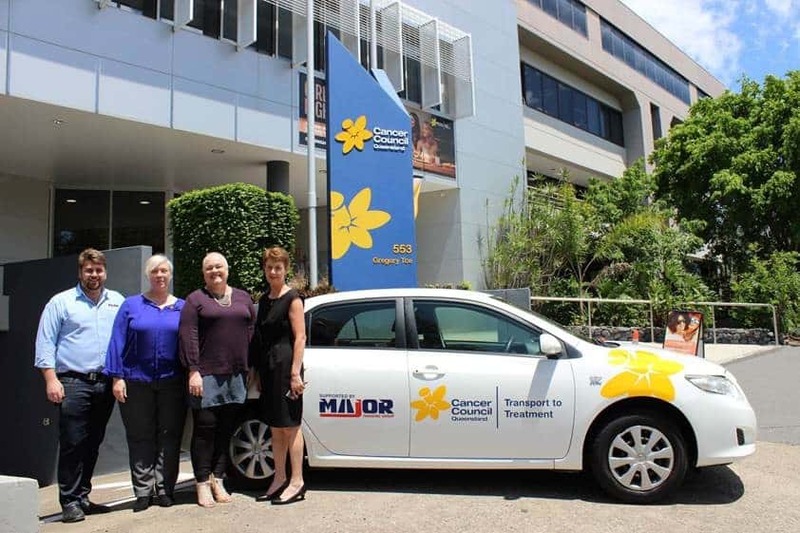 The car was loaned to Cancer Council Queensland for 12 months. The Toyota Corolla sedan helped many, many cancer patients. It possibly helped to save a life. The main service area for this great initiative has been across Brisbane’s northern region. Major is proud to be first the corporate company to assist in making this happen; it as such it has resulted in another company making a car donation, the aim is to build a fleet to 8 to 20 cars to service all across South East Queensland. As well as the donation of the first vehicle in the fleet, Major will be servicing it to ensure it stays on the road getting people to where they need to be. The donation of the vehicle will make a fundamental difference to the lives of those on their journey with cancer and is more tangible than a monetary donation. Over the course of the last 12 months the corolla has travelled over 8,737kms, and the two cars have had over 730 trips, & has helped over 75 clients & their families.